This semester, I have shifted the focus for EDU 807 to begin immediately with more critical perspectives on educational technology. Over the past year, I have encountered the work of Neil Selwyn, and I am particularly interested in his 2014 book, Distrusting Educational Technology: Critical Questions for Changing Times. 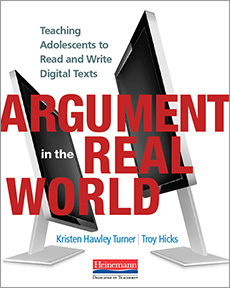 As a way to share some of my initial thinking on the book for my EDU 807 students, I plan to blog about it while we read together this semester. (Selwyn, Distrusting Educational Technology. Routledge, 20131126, VitalBook file). From that opening attack, he reminded me of other authors willing to take on the education(al technology) establishment, including Joel Spring, Audrey Watters, and Stephen Downes. So, I was interested from the start. I knew that I needed something different for my EDU 807 course (focusing on the broad goal of examining educational tools and technologies), and Selwyn’s book hit the mark, both in terms of topic and also because it lends itself well to jigsawing, as the middle chapters of the book take on four major issues: virtual, open, game, and social technologies. My students will choose one of those topics to dig into, creating a set of resources related to that issue. So, in preparation for that process, I will be blogging my way through my own re-reading of the book, and here are some initial thoughts on Selwyn’s approach. 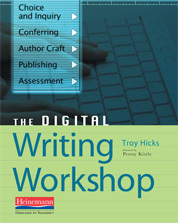 From the opening paragraph of the preface, Selwyn notes that he is “deliberately distrustful of the ongoing digitization of education provision and practice” and, in the next, notes the “gulf that persists between the rhetoric of how digital technologies could be used in education and the realities of how digital technologies are actually used in education” (emphasis in original, Selwyn, 20131126, VitalBook file). Thus, from the get-go, Selwyn establishes his critical stance and deep concern about the ways in which our field typically describes and celebrates educational technology, inviting us to consider whether our expectations align with our reality. These are the kinds of questions that I appreciate most as a reader and scholar, so he had me hooked in these opening lines. Before the end of the preface, he also describes the use of educational technologies as “a profoundly political affair — a site of constant conflict and struggle between different interests groups.” As someone deeply involved with and concerned about teacher education and professional development, these politics are ones that I find don’t get discussed enough. Though I am a strong advocate for resources that are inexpensive or, using the scare quotes intentionally, “free,” even before I got to Selwyn’s chapter on open source materials I began to think again about how I describe and use technologies in workshops and courses. Yes, I know that I have referred to some of them as “free,” and — if we’ve learned anything from the Facebook situation in the past two years — we know that nothing is ever without cost. Making these political aspects of ed tech use even more a part of my on-going dialogue with teachers and the doctoral students with whom I work is a distinct goal for reading Selwyn’s work. As a final note from the Preface, I was compelled by Selwyn’s idea that “educational technology is not value-free but value-laden, and therefore something that can be trusted and distrusted, agreed and disagreed with. Second is the belief that the nature and form of educational technology are not predetermined and inevitable but negotiable” (emphasis in original, Selwyn, 20131126, VitalBook file). The sad fact is that many educational technologies that exist are set out to solve specific problems (learning facts) with a pedagogical frame (usually a behaviorist or cognitivist one). While this is good to take the perspective that ed tech is mutable, I’m not so sure that this is the case with all ed tech. Yes, we could have teachers and students repurpose skill-and-drill software in creative ways, but that is different than starting with a tool designed specifically for creation rather than consumption. All the same, Selwyn’s preface had already given me enough to chew on when I first encountered it that I knew this would be the new text for EDU 807. With class starting tomorrow, and our attention on Selwyn’s work coming in a few weeks, I will be writing more about the remaining chapters in the book over the next few days. And, as one side note, I am finding it difficult to cite, specifically, where I found the information in the book. While I know that Kindle gives locations, the VitalBook file that I am reading does not. So, my apologies for not providing more direct citation info. So, with 2019 officially underway, I am hoping that today is the first day of a year that I spend (at least some) focused time blogging. I’ve been at this since 2006, and I’ve had good years and bad ones, productive blogging periods and deep fallows. While I am making nothing even close to a resolution that I will blog 365 consecutive days in 2019, I am hoping that I can increase the overall volume of blog posts by about 50%. As of today, I stand at 492 published posts over the years, and in recent months I have been getting pretty skimpy in terms of what “counts” as a post, many of which consist of conference session slides and hyperlinks. That’s OK. Sometimes. So, too, are short missives on a news items. Sometimes. And, it’s not like everything that I write needs to be a long, rambling, philosophical treatise. Nor does it need to be a highly polished, essay-like post. But, it needs to be something. And, it needs to be something frequent. In some ways, this is a silly goal. In 2019, I am working on three different book projects, at least two journal articles (right now), and any number of other items including a the development of a new course on digital and media literacy and a major report that I am working on for a professional organization. In short, there is plenty of writing to do. Blogging has always been the “enjoyable” writing that I would do once all the “required” writing is done. But, much like I have reversed course in the past few months and repositioned exercise in my daily routine, I need to fit blogging squarely in each 24-48 hour cycle. Some days, the posts may be more substantive than others, but I can at least share a link to an article with some commentary. Sometimes, it may be ideas I am working through for my books, articles, or courses. Or, whatever. The point is that I need to write and get ideas moving. A major theme, as indicated by the title, is that I will be making a conscious effort to reevaluate, rethink, revise… re-everything… my relationship with ed tech. 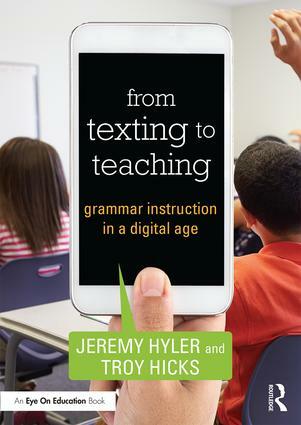 To begin, I am introducing a new textbook into my EDU 807 course: Selwyn, N. (2013). Distrusting Educational Technology: Critical Questions for Changing Times. New York ; London: Routledge. Because we will be digging into that text fairly soon in the semester, I will make an effort to share some quotes and elaborate on Selwyn’s ideas. Again, in order to add 50% to my blog in 2019, I would need post 246 times. Whew. I’ll cut myself some slack and aim for 200, looking at a post about once every other day. So, hooray… #1 (for 2019) is done, and I look forward to getting back into blogging over the next few days, weeks, and months. Happy 2019, everyone! This past fall semester provided me with an opportunity to teach an undergraduate honors seminar, focused broadly on the role of technology in our personal and professional lives. Entitled “Our Digital Selves,” I was able to work with 22 students over the 16 week semester as we engaged in some shared inquiry, some small group inquiry pathways, and a number of writing-to-learn activities that helped them engage with and understand a variety of digital tools ranging from browser extensions to the Zotero bibliographic management system. Moreover (and more to the point for purposes of this post), we utilized digital badging as a tool for documenting performance, eschewing grades and, instead, relying on lots of formative assessment, peer review, and self-evaluation. Since the National Writing Project first became connected with the MacArthur Foundation’s Digital Learning Initiative, I have been interested in badges, and will likely be pursuing the use of badges in teacher professional development this spring. For HON 206, the purpose of the badging system was, as I documented earlier, meant to be an opportunity for students to reconsider the role of traditional grade-driven assessment practices in their learning, providing them with more flexibility and opportunities for them to work creatively with one another. As with all teaching experiences, this one had some ups and some downs. Badges held a novelty factor that — combined with the overall topic of digital ethnography that permeated the course — did remain relevant in our discussions and activities. In pursuing the goal of digital authorship across multiple platforms and with various activities, students began to see how multimodal texts (including badges) could expand their thinking well beyond the traditional academic essay. In the end, having some freedom and flexibility was a powerful motivation for learning. While it really wouldn’t have mattered if we had badges or not, talking about the idea of “earning a badge” is more concrete than times in the past where I have used contract grading, which feels much more amorphous. No matter how much you try to dress it up, even with lipstick, a pig is still a pig. Though the ultimate goal was not to gain a set number of points in order to earn an “A,” this still was a class, with homework and expectations for participation. Try as I might, badges didn’t change that fundamental equation. Some students completed their work on time and with a high degree of quality. Some did not. And, for all those who are worried about grade inflation, well, I am part of the problem, since they all ended up with the same grade at the end. Interoperability. Even though I was using the open badge standard with the Badgr platform (read more about how Badgr evolved from the Mozilla Open Backpack, and where it is going next), I thought that it would be easy for students to share their badges on LinkedIn (not at all easy, and only as a “certification”) or WordPress (no embedding of iFrames on the free accounts). They could download the image, make a link, and share it that way, but the ease of a “point and click” transfer of the badge from being issued in Badgr to making it into a more viable, professional space simply didn’t happen. Though there were some other minor concerns, the final major problem is that, even after a semester of talking about badges, showing them how their “evidence” of earning the badge is “baked in,” and that they could easily demonstrate to another instructor or employer, I don’t think that any of them (save for one) really felt like these digital credentials would help them later on. As with all teaching innovations, I sometimes fear that the more things change, the more they stay the same. I should have opportunity to teach HON 206 again in the future, and I am already thinking about some ways in which I might adapt; I think that there might be some specific ways that I can make things more compelling while also not losing my mind from issuing badges. First, the badges need to be earned for (some) smaller tasks, not just the final projects. In order to earn a badge for say, “Level I” work in a pathway, you need to have the item turned in on time and to a high degree of quality. If not, no badge. You can still turn in the work and get credit for the assignment, but I need to issue smaller badges, faster. 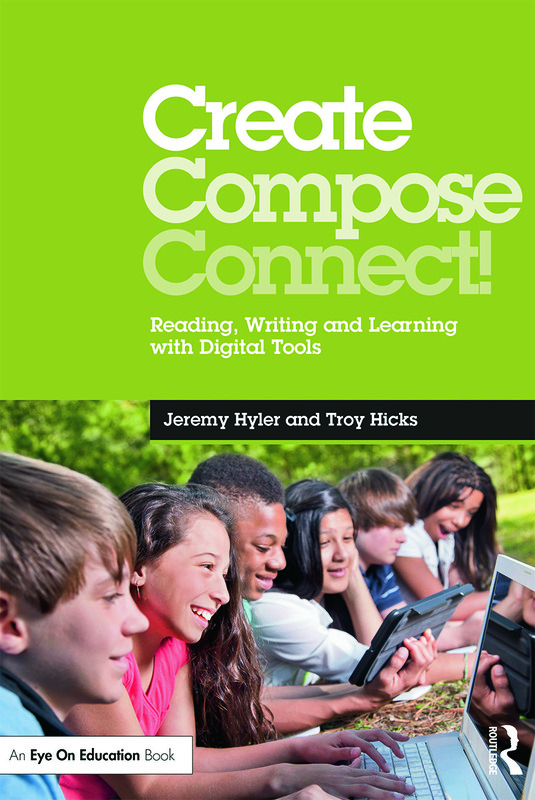 Second, in a similar vein, I did about eight in-class, intensive “writing-to-learn” activities that were highly scaffolded as Hyperdoc-like activities. I think that I would have at least five of those (of the students’ choosing) become longer assignments that would include the in-class work as well as an out-of-class extension, probably a brief essay (500 words or so). Those, too, would accumulate into a bigger badge, but would be issued more frequently. Finally, I need a system for them to share the badges. Perhaps, as part of the course, I have them subscribe to WordPress for four months, dropping the text book and paying for that instead. Then, I could build blogging (and reading one another’s blogs) more diligently into the course process, and I could expect them to share their badges more publicly. So, my first go at badging was compelling and not a complete failure. My hope is that I have opportunity to try this again with undergraduates and — if I get really motivated — with my ed tech doctoral students, too. For now, I wish that I could give all of my students a digital backpack (ala Mozilla’s original vision) for a Christmas present, so it was easier for them to share their badges and, more importantly, be able to reflect on their learning for the semester. But, that’s on my wish list for next year and, for now, I am satisfied with the gift of a wonderful teaching experience this fall. I have more to learn about badging, and will continue to reflect on my HON 206 experience, too. Badges. Writing-intensive. Active learning. Blended learning. Offered as a course for a group of 22 freshmen while they are concurrently enrolled in a larger course that orients over 100 students to life in CMU’s Honors Program, my course meets twice a week, Mondays and Wednesdays, for an hour and fifteen minutes. Without question, we live, work, and play in a digital world. Though a divide still exists in terms of skills and access across demographics, it is reasonable to argue that the increasing ubiquity of mobile devices connected to the Internet as well as broadband in our homes, schools, libraries, and workplaces means that all of us – especially young people coming of age in the present moment – are now blending our personal, professional, and practical digital identities across multiple networks and with a variety of tools. However, the ability to upload a picture or post on one’s timeline does not, in and of itself, assure us each a place in digital segments of academia, the workplace, or civic life. In fact, a recent Rasmussen College survey showed that 37% of millennial students see the internet as “scary” and are not confident in their digital literacy skills. This first year seminar will challenge students to critically examine what it means to lead a digital life – personally and academically – and to rethink our understanding of what it means to be mindful, productive, and responsible users of technology. And, as I have shared with students, those are a precious few minutes together each week in which we are trying to accomplish many goals. As part of their undergraduate program, the course is helping them think about the social structures that undergird the Internet. What does it mean for us to lead a digital life? What spaces do we interact in, what tools do we use, and how do we represent ourselves with a variety of identities? How can we interrogate our own digital living and learning practices, discover new strategies and tools, and emerge with a better sense of our personal and professional goals as they relate to using technology? In conjunction with their Honors orientation course, my course, too, is aimed at helping them become better readers, writers, and thinkers. We are looking closely at the ACRL Framework for Information Literacy as part of this process. As a writing intensive course, our goal is to use writing in a variety of ways, for different purposes, and to expand to new audiences. 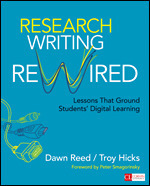 This includes writing-to-learn activities in class (polls, quick writes, guided writing in lessons, exit slips) and they are writing about their research in many informal ways (“writing to explore” essay, “immerse yourself in research” essay). It also includes some atypical forms of academic writing. 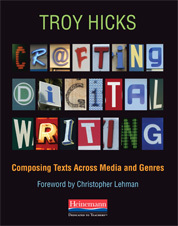 Rather that producing “typical” final essays for their projects, I am asking them to engage in digital writing or — as Renee Hobbs, author of the textbook we are using, Create to Learn, would say — digital authorship. Engaged in a recursive process of reading, writing, researching, revising, and collaboration, students are producing videos, podcasts, interactive maps, and other forms of multimedia in an effort to think about the affordances and constraints of text, images, video, and other forms of media. I am asking them to move beyond words on the page, and they generally seem to be enjoying that process, though it has not been without some technical frustrations. We are also exploring the use of microcredentialling in lieu of traditional grading practices. have adapted a “badging pathway” system from a Dr. Stephanie West-Puckett at the University of Rhode Island. We completed our first pathway, the Digital ID Narrative, together in the month of September. In October, they have been working in small groups on their own choice of pathways. I provide them feedback on their writing and work at each “level” of learning, and finally decided on using Badgr (the new for issuing badges using Mozilla’s Open Badge framework). That, too, has been a learning process for the students and for me. As we close in on our first “Teach In,” scheduled to happen next week, and I am looking forward to seeing what they produce and, subsequently, issuing the next round of badges to them. Lastly, our class meets in one of CMU’s active learning classrooms. Each day, I aim to do something that gets them moving and talking with others outside of their “normal” groups (there is no seating chart). This has been a mix of things as simple as “stand up and find someone from another table to discuss X” to using playing cards to randomize the groups. I’ve been trying to encourage them to use the active learning stations and display their own computer screens while working on projects, but not too many of them are doing that on a regular, non-prompted basis. It is a large space, suited for about 80 students. I am fortunate to teach a small group of 22, but that presents some challenges, too, as the space seems quite spread out and distant for a group that size. Having smaller, more intimate conversations, then, sometimes feels awkward, though having plenty of room to move around and interact is certainly a blessing (compared to other classrooms I have been in on campus). All of this has led, as with most teaching innovations and changes, to some success and some frustration. On the positive side of the ledger, I have been impressed with the ways that most students oriented their mindset to the pathways and the non-graded aspects of the course. Though I have tried, over the years, a number of different forms of contract grading and self-evaluation, I have not ever thrown grades out completely. And, yes, at the end of the semester will require some accountability, as their work from the many pathways and class activities will accumulate and (through reflection and dialogue with each student), a final grade will emerge. That said, many of them seem interested in the idea of microcredentialling and having the badge as a way to document their learning. Also, on the positive side, most groups and individual students seem highly engaged with their work right now. Two groups are on the “Maker” pathway and are exploring the relatively inexpensive craft of making tie blankets. This has led them, however, into a much deeper exploration of the textile industry and the ways in which that global marketplace has significant consequences on the lives of millions, especially in third world countries. Another group is exploring their “writing lives,” and have been engaged in a conversations with other faculty about what it means to be a college-level writer. Another Adventurer group is exploring the role of campus myths and legends, creating an interactive story map of CMU’s campus. Other groups are still puzzling through their topics, and we are working to narrow their focus, which (of course) is all part of the process I hope that they would go through. The blended learning piece will come soon, as the month of November will bring at least one, if not two or maybe even three virtual course sessions. I will have them meet using Zoom video conferencing software, which I imagine will be a new experience for most. During those sessions, I will ask them to engage in small group conversation and use tools for synchronous collaboration, probably starting with something straight-forward like Google Docs. I’m still thinking through exactly what that might look like in the weeks to come. So, at this midpoint of the semester, how would I evaluate my own performance as a teacher? Probably an A for effort, but a B for execution. I’ve put in the time before and after class to create engaging activities, online and off, and I feel that I have established pretty good relationships with individual students. Also, the activities in class — and the individual learning pathways — have been moving forward in a progressive, scaffolded manner… for most students. And, that’s where the B comes in. I need to figure out a way to make things more focused. Obviously, my approach here is not working for everyone and while I can’t expect that any teaching method will be perfect for every student, I don’t want three or four students to leave the course with a very negative experience, even if the rest of it is positive. To that end, I am trying to think through what I might do in the month of November to be more focused, as an instructor, and to help my students be more focused, too. Next week, I will have teaching and learning consultants from CMU’s Center for Excellence in Teaching and Learning come to observe me teach and, at the end of class, talk with my students and provide a survey for feedback (without me in the room). I am very curious to hear what they are thinking, objectively, about the course and to make appropriate adjustments in the month of November. The Build a Better Book project, based at the University of Colorado Boulder, works with school and library Makerspaces to engage youth in the design and fabrication of accessible picture books and graphics… Through the Build a Better Book initiative, middle and high school youth develop technology skills and learn about STEM careers as they design and create accessible, multi-modal picture books, graphics and games that can be seen, touched and heard! So, in this case, I was invited to lead a session on a topic that I had quite a bit of experience with (teaching character development in writing), but needed to think critically and creatively about how to present the idea, taking concerns about accessibility into account. And, as often is the case, I turned to my PLN for help. In the sense that students will already be immersed in the process, I’m fortunate that my lesson will come on the second day of a multi-day experience, focusing mostly on steps 3 and 4. They will have had some experience understanding the design task and the audience of visually impaired readers, as well as some tactile sensory immersion. When I see them on day two, my goal will be to help them think about ways that authors describe and develop characters in picture books. So, I am working on the retelling, but also the annotating. Taking what I learned from Margaret Price at DMAC earlier in the summer about annotations for accessibility, I will ask students to both write descriptions of the character as well as to use tactile materials for creating far, mid, and close-up representations. The challenge, of course, is that helping them figure out how to create tactile books – as well as annotations – that accurately and creatively represent those characters. Thus, I wanted to find a children’s picture book that – both literally through images as well as figuratively through language – “zooms in” on a character. I want them to write/create three different perspectives of the character – long shot, medium shot, and close up – both in writing and with crafting materials. To that end, I again turned to my PLN to find an appropriate picture book, and Colby Sharp suggested Mother Bruce, by Ryan T. Higgins. His suggestion did not disappoint. Mother Bruce is perfect, with images of Bruce the bear from afar, from nearby, and in extreme close-up. Coupled with a flipped lesson from Aron Meyer on “Using the Zoom-In Strategy to Enhance Narrative Writing,” I will use a series of images from Mother Bruce to then have students think about descriptive words for illustrating characters in terms of shape, size, and proximity. What would a description of Bruce need to include when we “see” him from a distance? At a mid-range? Close up? How can we use different words to describe shape, size, and proximity? What would his fur or nose feel like from far away? Close up? What about the additional features of his body and face? Eyebrows? Snout? How can we change shapes and texture to help the reader know that the image is a far shot, mid shot, or close up? My goal will be to have them create the three tactile representations, as well as write the annotations for the tactile books as a way to supplement the readers’ experiences. Though we will probably not have time in my workshop to invite the students to audio record these annotations and connect them with Makey Makeys, that would be one extension that could make the text even more accessible, and is in line with the Build a Better Book pedagogy. In sum, this is an interesting way to cap off a busy summer of professional learning. When the CMU STEM Ed Center invited me to do this work at the beginning of the summer, I had no idea what I would do. Yet, the challenge was given to me, and I kept thinking about the possibilities with each opportunity that I had to learn throughout the summer. I look forward to seeing how students responds to the lesson and, in turn, what they might do to more completely and complexly represent Bruce through both their annotations and tactile pages. Today, I made my way to Columbus in preparation for the Digital Media and Composition Institute, also known as DMAC. In more than one way, this has been a career aspiration of mine for well over a decade, and I’m very much looking forward to the immersive, sustained experience of working with colleagues over the next 10 days. I first learned about DMAC, then CIWIC, when Cindy Selfe and Gail Hawisher were still at Michigan Tech, from my mentor and dissertation director, (and, eventually, co-author on Because Digital Writing Matters), Danielle Nicole DeVoss, as she had pursued her own graduate studies there. To make a long story short, I feel like part of my academic heritage is deeply rooted with CIWIC/DMAC, and in many ways I feel like I am returning “home” though I have never actually attended the workshop. At another level, this spring is also quite important for me as a moment to pause, reflect, and refocus. Since 2003, I have had the incredibly good fortune of leading countless conference sessions, day-long workshops, and multi-day or even multi-week institutes. This has come about from my long and productive relationship with the National Writing Project. I’ve been humbled and honored to have started the Chippewa River Writing Project at CMU, and to have been invited to dozens of writing project sites – as well as other school districts and professional organization events – over the past decade. However, one of the things that I miss is simply being a participant in a workshop, to be fully immersed so I can soak up ideas and wisdom from other participants and facilitators. This is not to say that I don’t enjoy opportunities for leadership, because I certainly do, and I’m looking forward to at least half a dozen different opportunities this summer, not least of which is facilitating our own weeklong CRWP leadership institute, returning to Rhode Island to help facilitate the Summer Institute in Digital Literacy, and also coordinating our Beaver Island Institute for science and literacy. I look forward to all of these, and to my time at ISTE and NWP Midwest, among other conference events. All this will be wonderful, too. Still, there’s something to be said for just having one’s mind in a state of “being.” DMAC will allow me that time and space. And, I will get to meet other like-minded scholars, reconnect to my writing roots, and think critically and creatively about digital composition. In short, it will be intellectually engaging and fun. And, I’m at a point in my career where, not needing to “pivot” or “redefine” entirely, what I really need to do over the next ten days is get refocused. I have a number of specific projects that I want to work on over the next 10 days, many of which are connected to my teaching, scholarship, and service. With teaching, in particular, I’m trying to imagine the possibilities for a class I am teaching this fall, a seminar class for honors freshman, that I have entitled “Our Digital Selves.” There’s quite a bit of work that I need to do this summer in order to figure out exactly how I want to teach the course. First, I’m looking to a colleague and leader in the field of digital badging for composition, Stephanie West-Puckett, and the work that she has begun at URI with Writing 104. Titled MakerComp, she helps her students move toward self guided inquiry and significant projects, bundled in a system of badging. Additionally, I’ve been “away” from writing for a significant amount of time. I have certainly been busy with some smaller projects this year, I have not gotten refocused on a book-length project since the publication of Argument in the Real World, From Texting to Teaching, and Coaching Teacher-Writers in 2017. I have a number of writing opportunities ahead of me, as well as potential collaborators with whom I would like to work, and so these next few days will give me lots of time to consider possibilities and develop project proposals. Finally, of course, I am interested in learning how other people design professional development experiences for their peers and colleagues. I’ve been struggling to try to figure out how, exactly, to help re-invigorate our own writing project site’s work, connect to our masters in educational technology program, and consider new possibilities for CMU’s education program at large. I hope that watching the DMAC team in action as facilitators will be good for me, too. In short, I need DMAC. I am deeply fortunate to have a patient and flexible wife who is managing the chaos at home, as well as an employer in CMU who has given me significant financial support to attend this DMAC Institute. I am thankful for these blessings in my life. And, I’m looking forward to the work ahead. The idea of a professional learning network has existed for quite some time, built on some of the foundational work related to “situated learning” and “communities of practice” developed by Jean Lave and Etienne Wenger in the 1990s. Combined with the 2006 emergence of Twitter, a new idea had taken form, and educators began using hashtags to start a variety of ed chats, including our own #MichEd which was inaugurated Nov 7, 2012. What motivates you, personally, to create and maintain a PLN? How do PLNs change with time, for you personally and across the network? Think about #michED and who was there at the start, who has joined, who has left (or is less active) and WHY? How do we keep our networks diverse in thought? We don’t want them to be echo chambers for our ideas, but to be constructive spaces for dialogue. How can we achieve that goal? Besides sharing great resources, what can a PLN teach us about how to be an educator? How does participating in a PLN become part of your professional persona? OK, let’s get specific. What, exactly, can we learn from PLNs? Along with soft skills of collaboration and sharing resources, what other digital or pedagogical skills can we learn? Finally, what’s next for PLNs? How can we nurture and sustain them? How can we invite new voices? What should a group of doctoral students studying educational technology be thinking about?